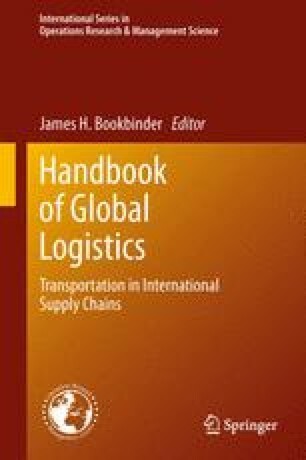 This chapter, which explores the interplay between three significant factors in global supply chains, holds two research objectives. The first is a model to maximize after tax profit by prescribing facility locations, transportation modes, and material flows in a global supply chain. The second is to demonstrate relationships among these three components through a case study. This chapter is based upon work supported by the National Science Foundation, Grant number DMI-0529026. Kehoe O (2003) Economics of truck and rail freight transportation. 12 Aug 2003, http://www.kehoe.org/owen/portfolio/truck_vs_rail.pdf. State Tax Comparisons FTA (2010) Federation of tax administrators, 1 Jan 2010. http://www.taxadmin.org/fta/rate/.